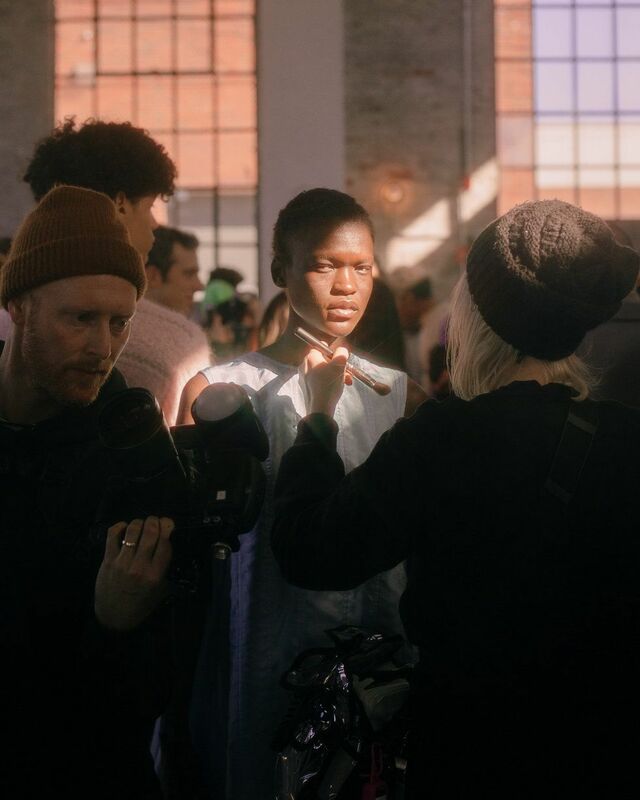 Eckhaus Latta presented its fall 2019 collection in the same sparse Bushwick warehouse that fans, editors and guests of the show have come to know well over the past couple of years. With a cast as diverse as ever, designers Zoe Latta and Mike Eckhaus brought their signature aesthetics to the show alongside some new techniques. After a landmark exhibition at The Whitney last year, it seemed the show had more of an A list crowd than ever before. Here's everything you need to know about the collection. For the first time, the label collaborated with Ugg to create an entirely new kind of comfort shoe. Square toed and with a heel, some of the shoes were open-toed. For men, they were flat. Primarily in neutral tones, exposed shearling added a hint of extra comfort. Larger than life fur furs were worn by lots of models. 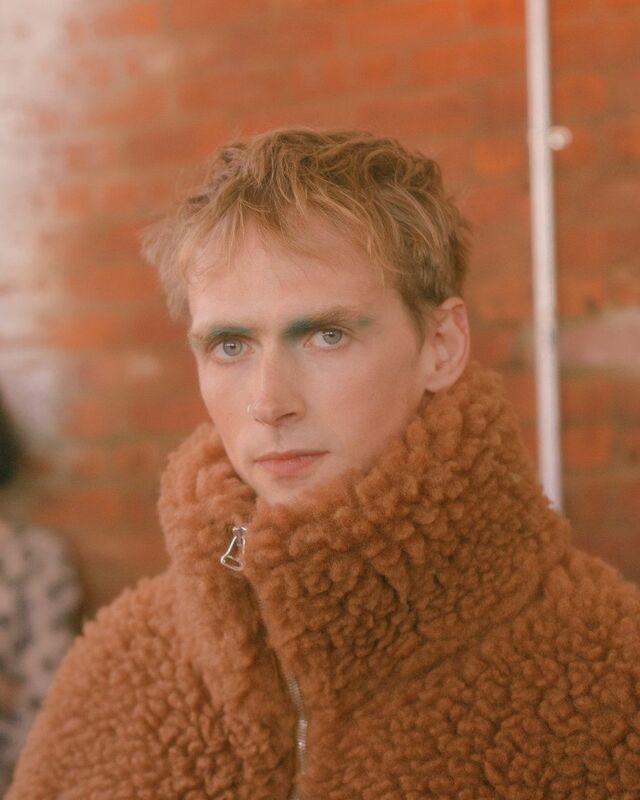 These coats were chunky and had almost a rugged sense about them: they looked a little messy and a little cooler than your average faux fur coat because of the gritty texture. Remember the ultra trendy beaded curtains of the early 2000s? Or the bead massage car seat covers from the same era? It looked like Eckhaus Latta had taken both and attached them to sweaters, or constructed artsy shirts entirely out of them. Towards the end of the collection, colorful patchwork knits covered models of all genders. These technicolor pieces may seem more artistically driven than wearable, but what might be the most radical thing about them is just how comfortable they looked. It's loungewear reimagined. Everyone loves an Eckhaus Latta show for its incredible diverse casting (courtesy of Midland) and this season was no different. Plus size model and influencer Paloma Elsesser has walked in the label's show for a couple seasons, but this time she closed the show wearing one of the aforementioned knits.